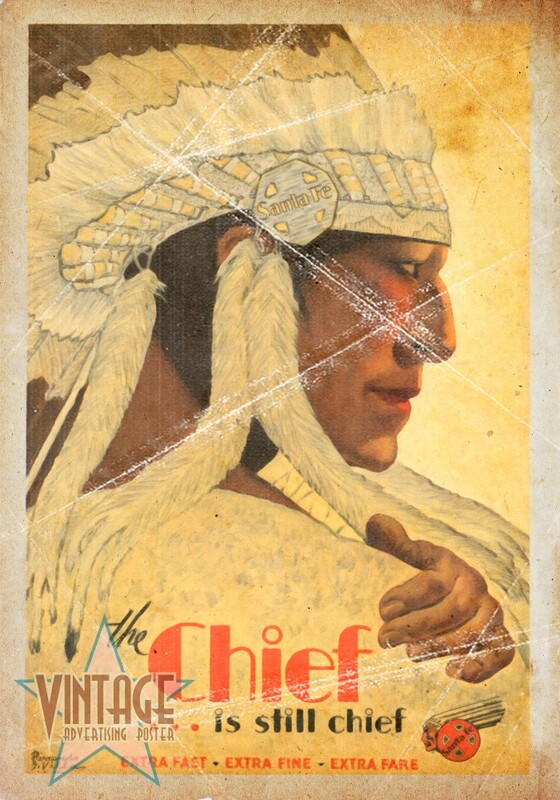 Restored Vintage Poster of Santa Fe advertising The Chief Train and Railroad from Santa Fe to Topeka. 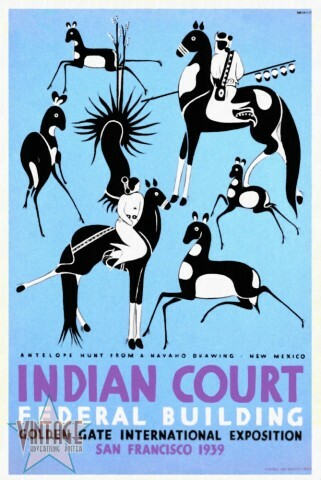 Restored Vintage Poster of Indian Court advertising Antelope Hunt from a Navaho Drawing Exhibition at Indian Court Federal Building. 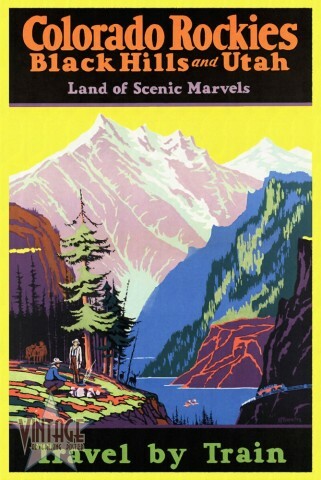 Vintage poster to advertise Travel by Train to Colorado Rockies, Black Hills and Utha. 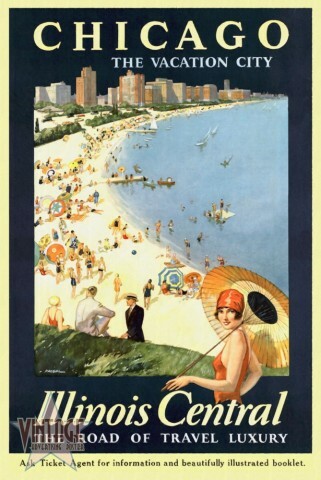 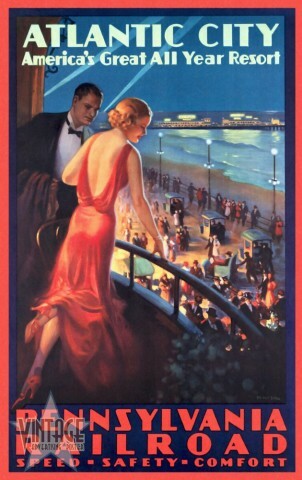 30's poster to advertise the company Illinois Central Railroad and Chicago as a wonderful holiday destination.